I know you. You want to catch more fish on a fly rod, and learn more about fly fishing to catch more and bigger fish on a consistent basis. You have come to the right place. If and when we fish together, think of my drift boat as a floating classroom. Teaching is what I do As we pursue and catch fish on the McKenzie, South Santiam, Willamette, and Rogue Rivers, you will also learn about fly fishing to be a more effective angler in the future. Yes, even you experienced fly fishers will learn a few new details about casting, mending, and the nuances of effective fly fishing. *An overview of the services I offer, including a special bonus I offer my guided fishing trip clients. 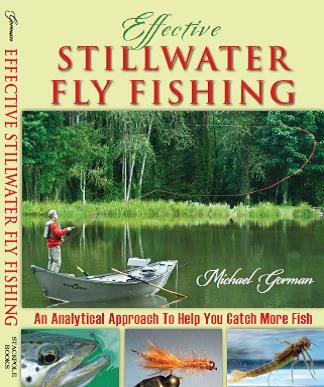 My second book, Effective Stillwater Fly Fishing, published by Stackpole Books, has just hit the stores, and it’s a fun, fast read with lots of photos. Besides effective fly patterns and detailing techniques that catch fish in lakes and ponds, I discuss how to locate elusive fish in stillwaters and formulating a strategic game plan to move the angler toward being consistently successful at catching fish. If you order the book directly from me, I would be happy to sign it and enclose one of my signature flies tied by me personally. Softbound: $24.95 Mailing: Add $5, mainland USA only. Check or money orders. I cannot process credit or debit cards. Thanks. 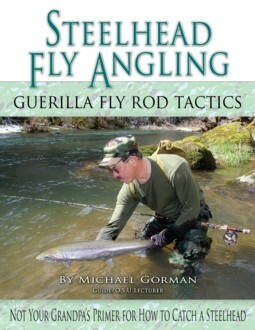 In writing Steelhead Fly Angling, I have kicked the hornet’s nest. Some controversy. Yes, it has info about flies, techniques, and where the fish are. But, I address issues of crowding, strategic planning, biases, and a “guerilla” approach to catching steelhead in a competitive environment. Amato Publishing did a great job of design, layout, and photo reproduction. The book contains more than 200 photos. Very interesting and different, I think. If you order the book directly from me, I would be happy to sign it and enclose one of my signature flies tied by me personally. Hardcover: $45 Softbound: $29.95 Mailing: Add $5, mainland USA only. Check or money orders. I cannot process credit or debit cards. Thanks. Fly fishing and Oregon: a great combination. An abundance of fishable waters combined with a mild year-round climate in the coastal western one third of the state, enables a variety of angling possibilities even through the dead of winter. Salmon, steelhead and trout are the most highly-prized quarry in our state. And, yes, the wary steelhead and salmon can be caught fly fishing, even by the willing beginner, accompanied by a skilled teacher/fly fishing guide. Take a mini fishing tour as you peruse our pages. You may find an Oregon guided fly fishing trip with a licensed fly fishing guide on the McKenzie River, Siletz, Rogue, or North or South Santiam Rivers serves you well this season. January through March our focus is on the Siletz River steelhead fly fishing trip. Click here to view a Siletz River steelhead photo or two. Michael Gorman, founder of Scarlet Ibis Fly Fishing Tours, Inc., has been guiding and teaching effective fly fishing skills for more than 20 years. His angling knowledge and skills have been honed in New Zealand, Ireland, Christmas Island, the Bahamas, Florida, Alaska, British Columbia, and all over the Western United States, including Oregon's world-famous Deschutes, Rogue River, McKenzie River, and North Umpqua Rivers. He owned and operated his own retail fly fishing shop in Corvallis, OR for many years, also being the head fishing guide. 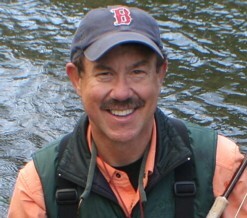 Michael continues, still, as an Oregon fishing guide throughout the calendar year, in addition to teaching credit PAC fishing classes at Oregon State University, where he did so for 27 years. Here's our simple philosophy: to guide effectively is to teach effectively. 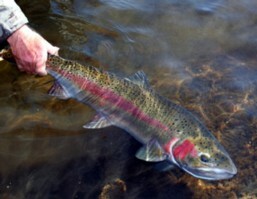 Come learn to catch fish, and catch them more consistently: steelhead, trout and salmon. We never restrict our fly fishing methods, but for our typical McKenzie River fly fishing guide and Rogue River steelhead fly fishing guide, nymph fishing is a specialty. For more details about a McKenzie River trout fly fishing trip, Rogue River or other Oregon rivers steelhead guided fly fishing trip: Click Here.